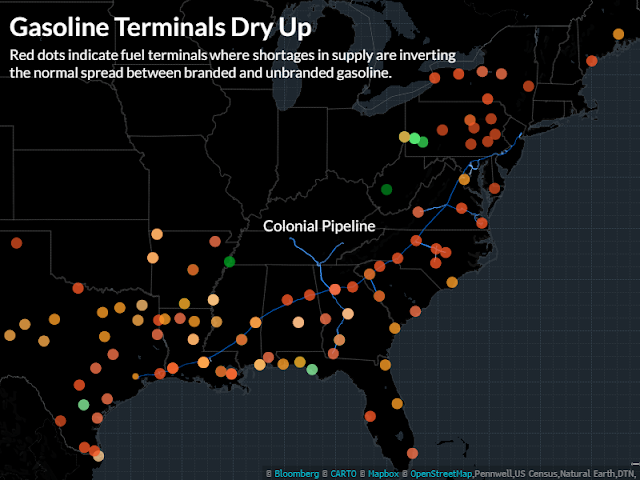 Bloomberg reports, fuel prices at the pump are likely to climb after Colonial Pipeline Co., the largest U.S. gasoline conduit, was forced shut its main diesel line late Wednesday and planned to halt its gasoline line Thursday because about half of Gulf Coast refining capacity was offline. Valero Energy Corp. and Royal Dutch Shell Plc, both major Gulf Coast refiners, told wholesale customers Wednesday they don’t have enough gasoline and diesel to sell retail suppliers. Hurricane Harvey has potentially cut U.S. fuel-making capacity to the lowest level since 2008. 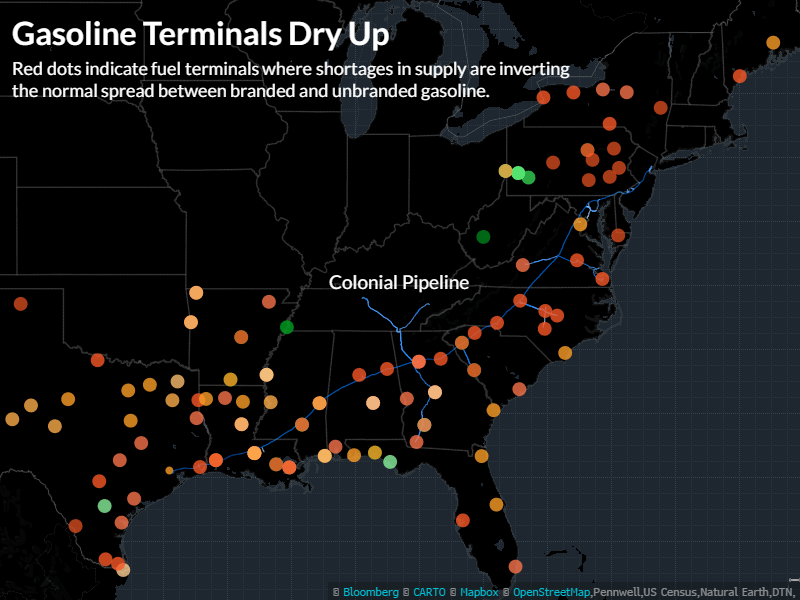 Gasoline futures for September delivery at New York Harbor extended gains for an eighth session on Thursday, the longest run since 2013, climbing above $2 a gallon. Prices have advanced 20 percent so far this week on the New York Mercantile Exchange.